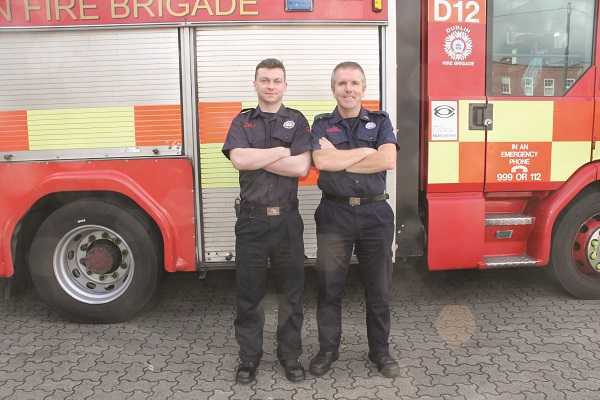 Conor Forrest sat down with retired firefighter Rory Mooney, who spoke about his career with the brigade and his voluntary work with orphaned children affected by the Chernobyl disaster. It’s more than 36 years now since the tragic Stardust fire that saw 48 people lose their lives and a further 214 injured when flames tore through the popular nightclub on Dublin’s northside. The harrowing events of that night have echoed through the proceeding decades, with the findings of the tribunal of inquiry – which concluded arson as the likely cause – disputed ever since. One of the emergency responders on duty that night was Dublin Fire Brigade firefighter Rory Mooney, relatively new to the job having joined in 1978. Despite having been marked for ambulance duty, a colleague on sick leave meant he was tasked with manning the phones that night. Rory’s 31-year career in the brigade began, as with all recruits back then, with a stint in Tara Street, following 14 weeks of training in Kilbarrack – one of the last classes to do so. He recalls being handed the job of being ‘on the bunk’ at headquarters on his first night, manning the phones from midnight to 6am, and taking the 6am to 9am early relief shift the following morning. Rory’s desire to help people in wretched circumstances would take him beyond Ireland’s borders. 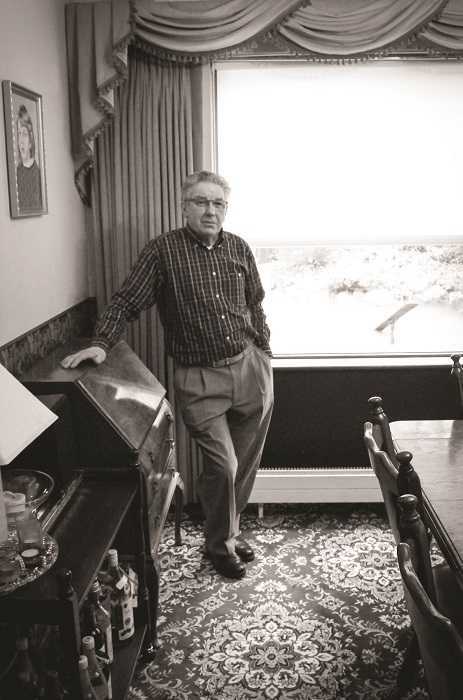 In 1986, while he was based in Phibsborough, the Chernobyl disaster shook the world. On April 26th the No. 4 reactor at the Chernobyl Nuclear Power Plant in Ukraine was destroyed, releasing radioactive material into the atmosphere, with the fallout spreading across western USSR and Europe. Thirty-one deaths have been directly attributed to the disaster, alongside deformities and defects in children born in Ukraine and Belarus in the years after the explosion. “Radiation knows no territorial boundaries, it doesn’t apply for an entry or an exit visa, it travels wherever the winds take it,” said Adi Roche, who founded Chernobyl Children International. “At 1.23 am on 26th April 1986 a silent war was declared against the innocent peoples of Belarus, Western Russia and Northern Ukraine. A war in which they could not see the enemy, a war in which they could send no standing army, a war in which there was no weapon, no antidote, no safe haven, no emergency exit. Why? Because the enemy was invisible, the enemy was radiation.” Many of those children wound up in orphanages, grim facilities that provided a roof over their heads and regular meals, but precious little else in the way of a normal life. Stirred by their predicament, Rory joined convoys travelling 1,500 miles from Ireland to Belarus by ground, carrying much-needed medical and humanitarian supplies for the recovery efforts. Rory and Marion made the trek to Belarus twice a year for 12 years in total, working with the manual team building playgrounds, putting roofs on portacabins, painting wards, renovating shower facilities and whatever else needed to be done. “You carried the kids out to the open air, you put them on swings and roundabouts and you’d amuse [them] for a couple hours during the day. It was very depressing when you’d leave the orphanage because you’d feel very guilty leaving the kids behind,” he recalls. Alongside supplies of medicine, furniture, clothes, shoes and much more, the teams also brought gifts for the children in those institutions – simple items like balloons or rugby jerseys that nonetheless made their day. “To see their faces – you’d give them a jersey and they knew it was theirs to keep, because they were used to being handed gear and it being taken from them,” Rory adds. The last few years have by no means been easy for Rory and Marion. Illness forced him out of the job he loved in 2009, having been diagnosed with lung cancer for the first time a year earlier – less than a year after he and Marion were married in Wales. Alongside a back operation and pneumonia he suffered a stroke in 2016, leaving him with short-term memory issues. To make matters worse, doctors found cancer in his other lung while undergoing tests. A tough situation that’s unimaginable unless you’ve gone through it, it’s clear that the same black humour that many firefighters use as a coping mechanism helped him through some difficult times – he recalls asking a surgeon during his first bout of cancer to save ‘a bit of meat for the cat’. It’s also clear that his career as a firefighter means a great deal to him. 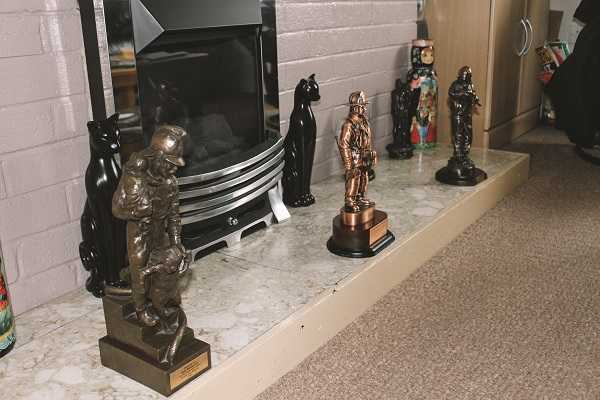 A shelf above his stairs (Marion’s handiwork) is home to a collection of memorabilia including helmets, patches and medals, a selection of statues received on his retirement takes pride of place along the fireplace, while two detailed and colourful statues of firefighters, souvenirs from Belarus, stand on duty in the back garden. There’s also a more unusual item – half of a good-sized rock that was thrown through the window of his ambulance as he and Leslie Crow travelled along the Navan Road one day, narrowly missing his ear. Rory keeps in touch with old colleagues too – he joined the Retired Members Association last year, pops into Phibsborough fire station every few months for a visit, helps Paul Hand in the museum every Thursday, and is one of several veterans of No. 3 known as the ROMEOS – Retired Old Men Eating Out – who meet up every few months for dinner and a catch-up. These are friendships cemented over decades, between people who often placed their lives in one another’s hands. We look back at the annual FESSEF parade in Dublin city last September. 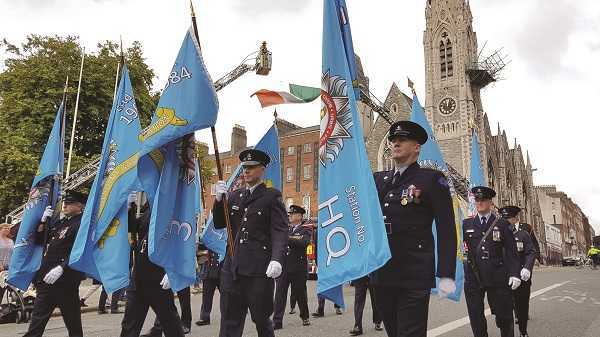 The annual Frontline and Emergency and Security Services Éire Forum (FESSEF) parade took to Dublin city’s streets once more last September, with around 1,000 emergency services personnel marching from Parnell Square to the grounds of Trinity College. A fantastic display of uniformed personnel, marching bands and gleaming machinery, the procession attracted large crowds of admirers along the parade route, led once more by members of An Garda Síochána on motorbikes and bicycles and passing underneath the national flag held aloft by two DFB appliances. 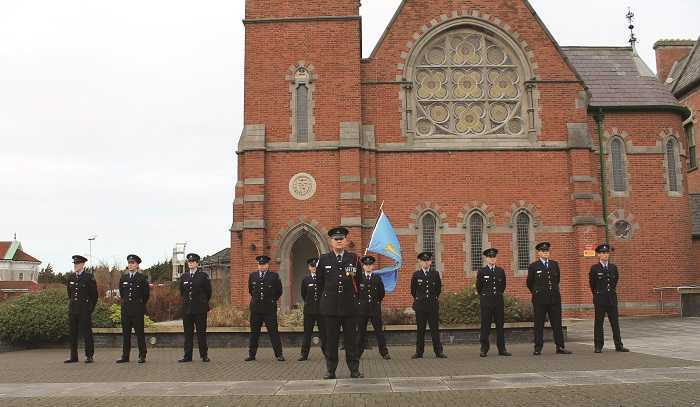 The marchers included Irish Army veterans, members of the Irish Prison Service, Dublin Fire Brigade (including the Pipe Band), An Garda Síochána, the National Ambulance Service, the Civil Defence, the RNLI, Order of Malta and more. “Frontline workers are out there to serve the public and that’s what we do as an organisation – always have and always will – and that’s what all the other services do as well. Days like this are always very positive because it creates more interagency activity and cooperation and it fosters one-to-one relationships when required,” Garda Chief Superintendent Kevin Gralton said at the launch of the event. In 2017, FESSEF organisers added an extra day to the calendar of events, with a concert held at the Pro-Cathedral the evening before the parade. 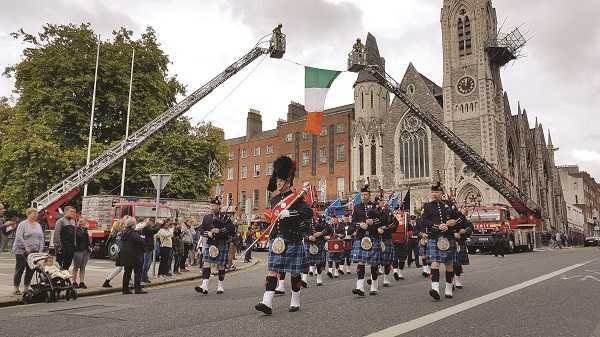 Featuring the musical talents of the Dublin Fire Brigade and National Ambulance Service Pipe Bands, as well as the Garda Band, tribute was paid to colleagues who lost their lives in the line of duty, including the crew of Coast Guard Rescue 116 and Garda Tony Golden. The Midlands Prison choir leant their voices to the evening, as did a section of RTÉ’s Philharmonic choir. Ticket sales from the event raised funds for Bumbleance, the RLNI charities, and O.N.E. (ex-service personnel). From DFB’s perspective, the Pipe Band put hours of practice into their performance, working with the National Ambulance Service Pipe Band to ensure both were playing at the same pitch, alongside several practice sessions with the Garda Band on timings. The DFB Pipe Band’s last collaboration with the NAS was playing with Andri Rae in the 3Arena; this was the first time the three principal response agencies in Dublin played as one. Above: Eithne with some of the other Irish athletes. Among the thousands of competitors at the 2017 World Police & Fire Games was Dublin Fire Brigade’s Eithne Scully. The World Police and Fire Games (WPFG) is basically the Olympics for emergency services personnel, attracting around 10,000 entrants every two years. Organised by the California-based World Police & Fire Games Federation, athletes participate in a wide variety of events ranging from badminton and baseball to soccer and stair races. The WPFG began life back in the swinging sixties when a police officer in San Diego developed an idea to promote physical fitness and well-being among law enforcement officers. The California Police Olympics were first held in 1967, and their success in the proceeding years led to the foundation of the WPFG during the 1980s, open to serving and retired firefighters, police officers, customs and excise personnel, and prison officers. The Games have run every two years since San Jose in 1985, hosted in cities around the world including Belfast in 2013. On a global scale, the Games attract the second largest cohort of athletes after the Summer Olympics – no mean feat. 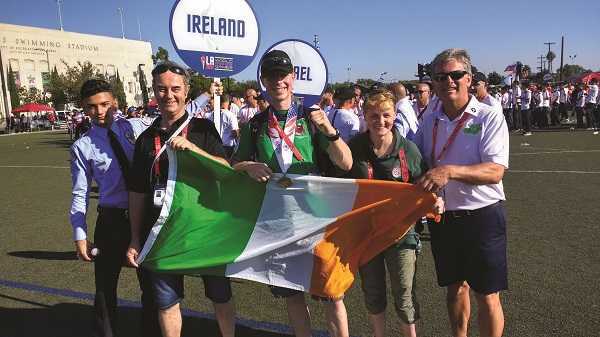 Though Dublin Fire Brigade generally has a strong contingent at each Games, last year advanced paramedic Eithne Scully from D watch Dolphin’s Barn was the sole representative in Los Angeles. Eithne has competed in five Games so far having first attended Quebec in 2005 with 20 colleagues – she was instantly hooked. Travelling to LA on her own was by no means a deterrent. After the opening ceremony on August 7th in the Coliseum the Games kicked off, with athletes from across the globe going head-to-head in 56 events. 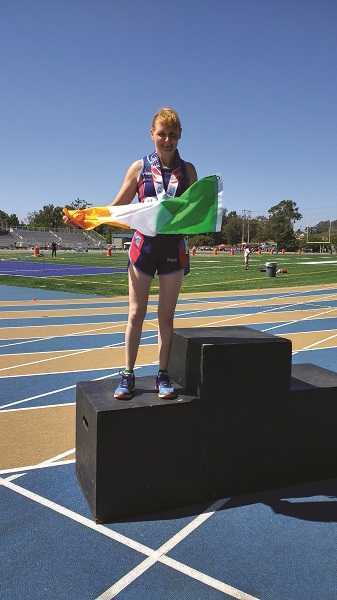 Eithne competed in the 10k cross-country (individual and team), 800m, 1500m, 5000m and 10000m races, alongside the 4 x 100m and 4 x 400m relays – she discovered several years ago that relay teams can be entered into on a pool basis, and so the same team of Eithne and female colleagues from London Metropolitan Police, Trinidad & Tobago Fire Service and Puerto Rico Fire Service have competed together ever since. Eithne also tackled the taxing stair race (individual, women’s team and the mixed team) held in the AON Centre in downtown LA, one of the Games’ tougher events. Despite attending on her own, Eithne took home a medal haul worthy of a larger DFB contingent. Gold medals were awarded for the 10k crosscountry, 4 x 100m relay, 4 x 400m relay, the women’s team stair race and the mixed team stair race. She also earned a silver medal for yet another climb of the AON Centre in the individual race, and a bronze medal in the 800m. The date has already been set for the next Games in Chengdu, China in August 2019. Eithne is looking forward to the date, having decided several years ago that she would continue competing in the Games as long as she is healthy and able. With support from the Sports & Social Club in securing her entry fee, and no signs of slowing down, it looks like there will be at least one person representing DFB on the world stage, though hopefully numbers will grow over the years. The home of hazmat response for Dublin Fire Brigade, Conor Forrest took a trip to B watch Donnybrook, headed by S/O James Bissett. 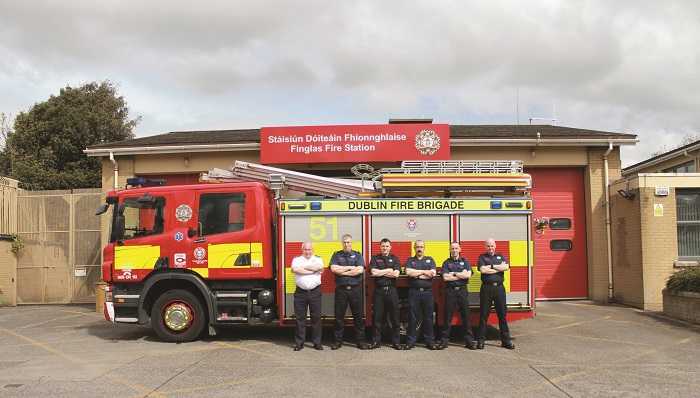 The risk factors faced by the crews of Donnybrook fire station are quite varied, thanks to their location in the heart of Dublin’s southside. Clonskeagh Hospital and The Royal Hospital Donnybrook lie to the west, the RDS to the northeast and UCD due south. Alongside high-rise buildings in nearby Ballsbridge and new apartment blocks in Dún Laoghaire, there’s also the sea to contend with a little more than 2km away. And then there’s the Aviva Stadium, the Covanta Plant in Poolbeg, the nightclub hub of Harcourt Street, and a wide range of private and nursing home accommodation scattered throughout the district. All-in-all, an interesting mix. During my recent trip to No 1, Station Officer James Bissett was on duty – the last time we met was just before Dublin GAA won the first of what would become a treble of All-Ireland Championship triumphs. S/O Bissett (a former Dublin footballer himself) moved from North Strand to Donnybrook two years ago and is celebrating his 30th year in the job this year. S/O Bissett adds the Luas and the DART to Donnybrook’s considerable list of responsibilities and highlights the station’s expertise in hazardous substance response. Once a call comes through, a special appliance is dispatched from the station carrying a variety of hazmat response gear including a decontamination tent, a sealed hazmat suit, and additional oxygen tanks in the event of an extended delay. “We respond to any chemical incident – the crew are all trained in all aspects of hazardous substances and decontamination,” S/O Bissett explains. The first step is identifying the chemical involved, via the control room or through an on-scene examination. Once they have a name or code, it’s a matter of double checking the required response parameters contained in a reference book or laptop – whether the chemical is corrosive, poisonous or flammable, which firefighting medium should be used, or whether the immediate area should be evacuated – among other concerns. “The areas we would cordon off would depend on wind direction. When we’re going to a chemical incident we’re looking at the wind direction – the way we approach it is uphill, upwind. It could be a vapour, it could be airborne, it could be a liquid,” S/O Bissett tells me. “Arriving on-scene, the first thing you have to do is identify the substance, then stand back and say ‘what does this substance do, how do we deal with it properly?’ It’s about getting all of that information and making a plan as to what you’re going to do.” But hazmat response doesn’t just concern itself with the chemical – crews who have already arrived on-scene might have been exposed without the necessary protective gear. Understandably, given the risky nature of responding to chemical incidents, training is a key part of the job for those stationed at No 1. That’s augmented by words of wisdom between the senior and junior men; the former willing to share what they’ve learned over decades of work. Ex-Defence Forces soldier Ben Wedick is the station’s most senior man on B watch, a 20-year veteran of Dublin Fire Brigade. Following two years in Townsend Street at the beginning of his career, he transferred to Donnybrook and has been here ever since. Five years into his career he began driving, starting with the old white ambulance which you could drive then with an ordinary car licence. Enjoying it, he progressed to driving the motors, getting to know the area quite well in the intervening years. Ben explains that he’s happy to pass on his own knowledge as he remembers what it was like to start out in the job. “I began here as a junior man for about five or six years – it was quite a senior crew here which I learned my trade from. You just watch and you listen instead of jumping in and saying things. It was one of the better moves of my career. Since then a lot of junior guys have passed through here, and I hope I have instilled a bit of my knowledge into them. 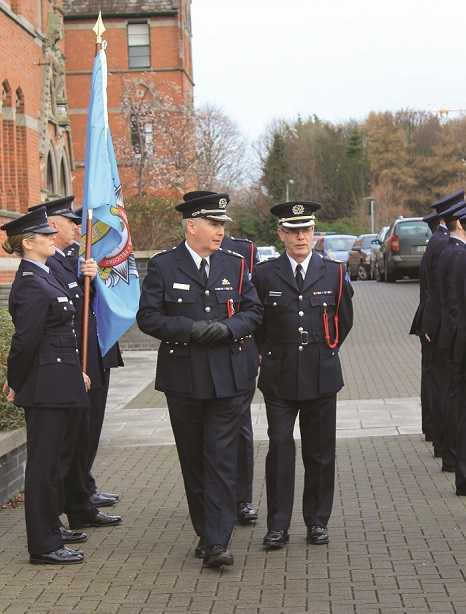 I’ve worked with a lot of good officers such as Stephen Brady, the ex-Chief Fire Officer – he was my S/O when I came here first,” he says, adding that the banter is what he enjoys most about the job, although once the bell goes that all changes. “When we have to go out the gates the banter stops. We’re as professional as any guys I’ve ever worked with,” he stresses. “Everybody brings their little bits and pieces to the role. Tom is an ex-nursing student, I’m an ex-military man but I’m also an electrician. A lot of the lads are well clued-in with life skills that they bring to the fireground whenever we have to.” Ben also mentions that there’s a great community spirit in No. 1, aided by the fact that the crew all enjoy playing sport, from five-a-side matches against Townsend Street after the night shift to an occasional game of golf, not to mention an annual trip away together in summer or at Christmas. “I’m the oldest firefighter and it makes me feel young having young [people] like Tom in his mid-20s coming in. Because I never grew up myself!” he says with a smile. Crew members Tommy Byrne and Ben Wedick. ‘Tom’ is Tommy Byrne, relatively fresh from the OBI having graduated with Class 1/2017. Tommy’s background is in nursing, having studied the subject for three years in college before the chance to join DFB came up, something he believes gave him an advantage when he applied last year. “I always had an idea that I wanted the medical side of things, helping people in any way I can. I went with nursing and I was going into my final year when this came up. I went for it not knowing if it would go my way or not, but at least it would be experience for the next time it came around – I would be well prepared. Things luckily went my way and I ended up getting in, but it meant I had to put the nursing degree on hold,” he explains. Tommy is barely six months into his new job, by now part and parcel of the crew on B watch having been welcomed into the fold from the beginning – older crew members like Ben have taken him under their wing, showing him the ropes. Though he hasn’t attended any major incidents as of yet, he has very much experienced the differences between a simulated scenario in the OBI and the real thing. Joe’s role is one of the most important in any station, having taken over the running of the mess almost a year ago. When I arrive he’s in the middle of preparing for lunchtime, the extractor fan running at full speed, hobs burning brightly, and food moving through a conveyor belt of efficiency from preparation boards to storage plates. Retired Station Officer Greg Matthews spoke about his career in Dublin Fire Brigade and his passion for street photography. Retired Station Officer Greg Matthews has undoubtedly led an interesting and varied life. 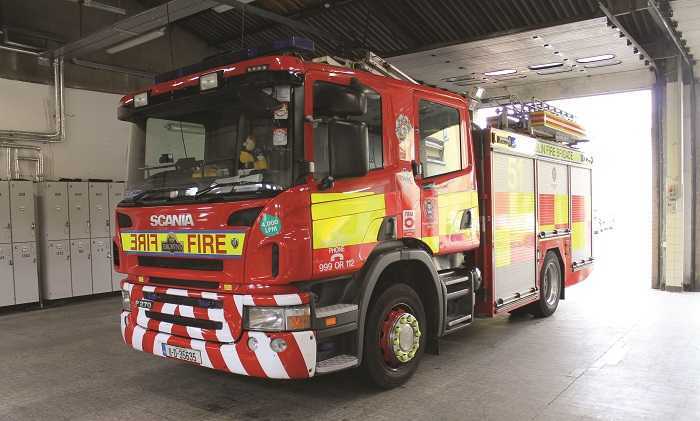 Born in 1961, the middle child in a family of five, he grew up in Ballyfermot and followed a path as a motor mechanic before pursuing his childhood dream of becoming a firefighter. Now that he’s retired, he spends his time pursuing several hobbies, among them street photography. After a busy career, Greg retired from DFB in 2010 on medical grounds, having developed a problem with one of his hips from running marathons. At the time, he explains, he was relatively happy to leave, feeling that he had made a significant contribution to the brigade over those years and feeling ready to explore other avenues of interest with his newfound free time. His first port of call was yachting and he earned a licence as a day skipper following a number of sailing courses. Next up – photography. 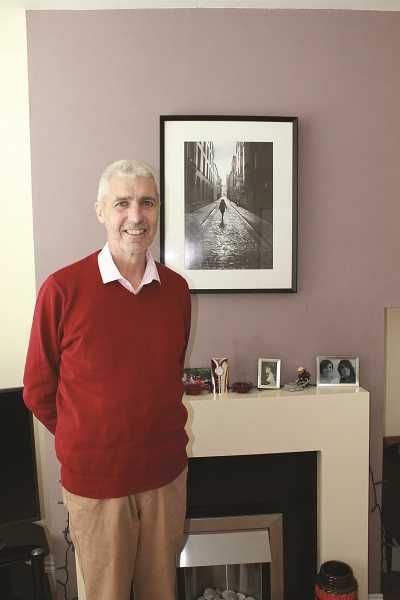 It was something that had lingered in his mind since he was a child – his father would bring home The Irish Press and Greg would comb the pages examining every detail of renowned photographer Austin Finn’s black and white photos of ordinary Dubliners going about their daily lives, even cutting them out for inclusion in a treasured scrapbook. Over the proceeding decades Greg would take photos now and then – perhaps on holiday – and people would comment on how they were a cut above the norm. Curious as to what separated his creations from others, he decided to do a photography course with Dublin Camera Club (where he met his partner Trudy). Though he struggled with the technical side of photography – exposition, shutter speed, focus and more – it gave him the freedom to create better images and bring his mind’s eye to life. 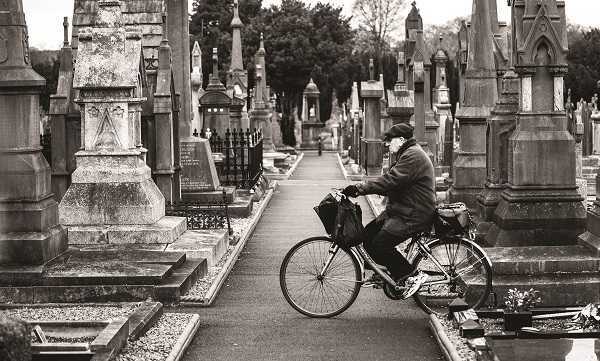 Clearly he’s got a flair for it, having been named Irish Street Photographer of the Year in 2015 (as well as winning Street Photograph of the Year), with an exhibition of his photos held in Filmbase in Temple Bar that same year in memory of his late father. His increasing profile has also resulted in numerous invitations to speak at camera clubs around the country, sharing the lessons he has learned behind the camera and on the streets. 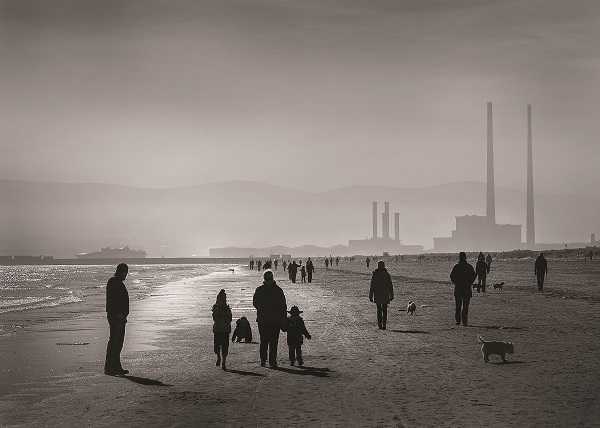 Shot for the most part in black and white, Greg’s photos tell a story, capturing intimate moments in time that might otherwise go unnoticed – a family enjoying a picnic on the beach in Bray, an elderly couple making their way over Dublin’s Ha’Penny Bridge, a man cycling through Glasnevin Cemetery. His style is quite artistic with many of his photos reminiscent of a painting; candid images of ordinary life inspired not only by Austin Finn but also Henri Cartier-Bresson, considered a master of street photography. Greg is reluctant to pigeonhole his work into any one category; instead he follows a few simple rules that guide the sights on his lens. “Though I call myself a street photographer, it’s very hard to define what street photography is. For me, my photography is capturing people going about their daily lives,” he explains. “The person doesn’t know that their photograph is being taken. There has to be some point of interest in the image, there has to be something happening. A lot of people… they just think it’s photographs of people walking on the street and for me it’s not that.” Greg’s photos are bolstered by the fact that his subjects are unaware they are being photographed, displaying real emotions rather than a hastily assembled smile. A lot of his shooting is done from the hip, pointing and clicking the shutter through a café window or while stopped in the middle of a footpath. In the first few years the loud click from his Canon 5D Mark II would give the game away, so he took to coughing while he pressed the shutter to mask the sound, or would wait until a bus passed by on the road. He eventually opted for a Fuji X-T1, a much quieter, more discreet option that allows him to blend in a bit better with the crowds. Patience is the name of the game for Greg, who spends hours on the streets of Dublin observing life as it passes by and waiting for the right shot to enter his frame. Take Temple Bar Lady, his award-winning photo of a solitary woman walking along an empty laneway in Temple Bar. Having found the location, Greg repeatedly returned in search of the perfect canvas free from crowds, delivery vans or dustbins awaiting collection. A bit of luck, too, has its role to play from time to time. Having lined up a candid shot of one of Dublin’s characters, Greg surreptitiously pressed the shutter just as the man yawned. The result is a fantastic image of life’s mundanity – the ‘open’ sign in the background complementing the open-mouthed focus. “You still have to be there to get it,” he adds. And then there’s the ability to react to your surroundings, to recognise the potential for a fantastic shot and to take it without missing the moment. One of those moments arrived at Greg’s feet (literally) in 2016, during one of the 1916 commemorative events in Dublin’s Merrion Square. Hearing a commotion behind him, Greg turned to see Martin McGuinness and Gerry Adams in attendance, surrounded by crowds taking photos. With Adams out of reach and McGuinness close by, Greg quickly dropped to his feet and pointed the camera towards the sky. 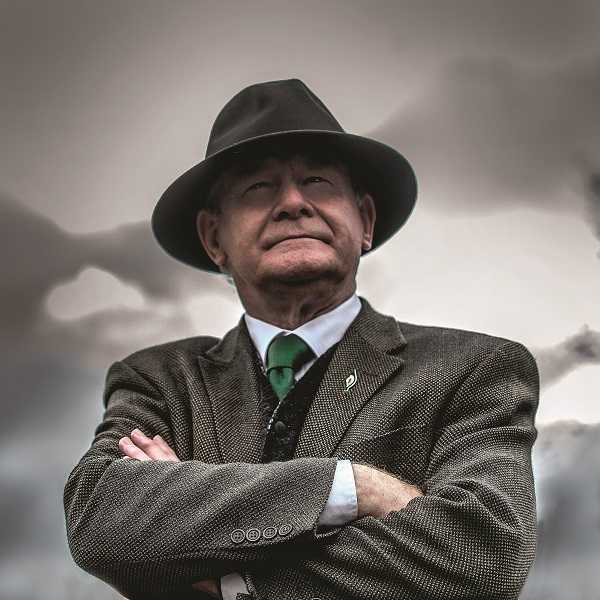 When McGuinness passed away in January 2017 the resultant shot went viral – from a profile picture for Sinn Féín’s Mary Lou McDonald on Facebook to being blown up and displayed at McGuinness’ month’s mind in New York’s St. Patrick’s Cathedral. Before I leave, our conversation turns once more to the time he spent with Dublin Fire Brigade – the fact that he treasures those years evident by the smile on his face and the pride in his tone. Greg singles out the comradeship in the job as one of the highlights, getting to know the individuals on your crew and how best to work with them. Swords FF/P Paul McGurrell has added the three RAWULTRA ultramarathons to his list of achievements. If you’re searching for a figure to inspire a new fitness regime, Paul McGurrell is your man. The last time we spoke was in the summer of 2014, after he had completed the gruelling Marathon des Sable (MdS) – a 254km ultramarathon in the inhospitable environs of the Sahara desert. Three years later, Paul shows no sign of easing the pace. 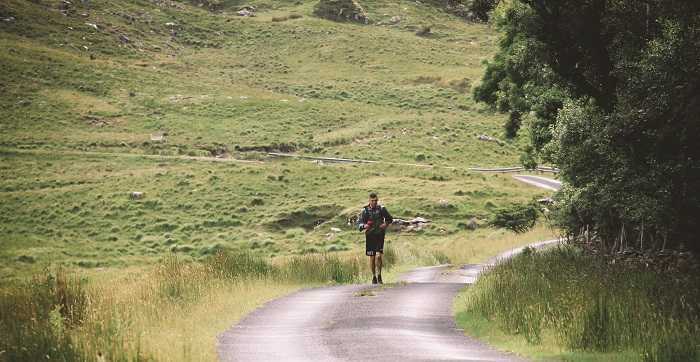 This time he’s finished the series of three RAWULTRA ultramarathons across Ireland – Varty Lakes 100, Western Way 100 and Wicklow Way 100 – in a calendar year, the first person to complete the grand slam. 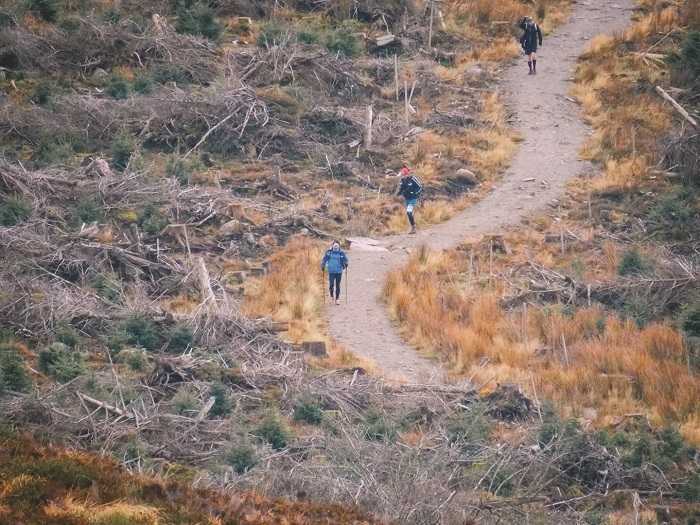 These are by no means simple events – apart from the fact that each covers 100 miles, the terrain is usually difficult, and as the races begin during the cooler night-time hours, you can easily lose your bearings. Ultramarathons are nothing new for Paul, and so his training regime for the three Irish races was no different than other similar events. Fitness is obviously important, keeping the body fit and strong, and Paul begins winding down the running two weeks before a race, trying to regain weight that will be lost on the day. But a lot of the preparation is psychological – you need to be in the right mindset to get through a tough 100-mile race. So how do the Irish ultramarathons compare to the endurance race in the Sahara? The Marathon des Sable, as Paul explains, is a different beast. The heat and terrain are the key aspects in the MdS, but hydration may be the most important facet. Fail to properly rehydrate or keep your salt levels up and your race will be over before you know it. Still, when the weather conditions are just right, you’re cocooned in a bubble surrounded by some truly spectacular surroundings. Paul describes the Western Way 100 as “spectacular”, recalling running through the mountains at 4am with a clear sky and a blanket of stars overhead. “From an aesthetic point of view, it was fantastic,” he explains. 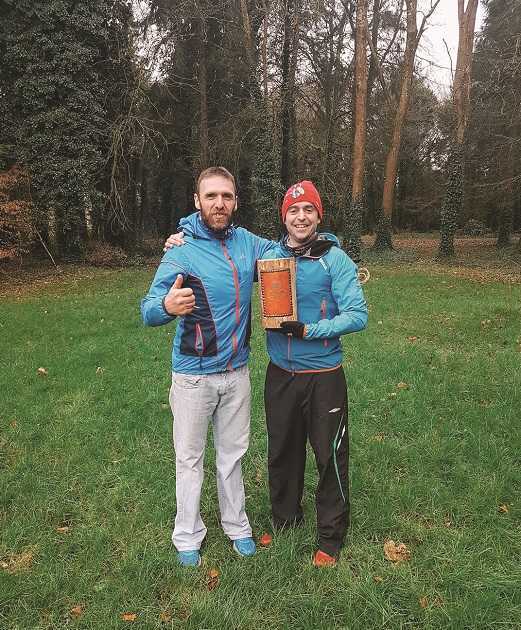 As a sporting endeavour, Paul explains that although the time commitment is considerable, ultramarathons are becoming increasingly popular in Ireland – a few of his colleagues in Swords are among those who have since taken up the challenge. Increasing numbers are also taking part in the annual Dublin City Marathon – last year’s event was the first year an organised group from DFB took part in the race. Paul is no stranger to the Dublin Marathon, and ran it twice in the one day before taking part in the Marathon des Sable. I ask Paul about his motivation – what keeps him inspired to continually push his body and mind to the limits? He considers the answer for a moment. Conor Forrest caught up with retired District Officer Noel Hayden, who spent the best part of his career fighting fires on Dublin’s southside. In the days when Dún Laoghaire fire station was a standalone unit, yet to become integrated with Dublin Fire Brigade, funds and finances were not so readily available. The process of officially mending or replacing something could be quite bureaucratic, and so it was often easier for a member of the crew to get out their toolbox and mend the broken lock or door. 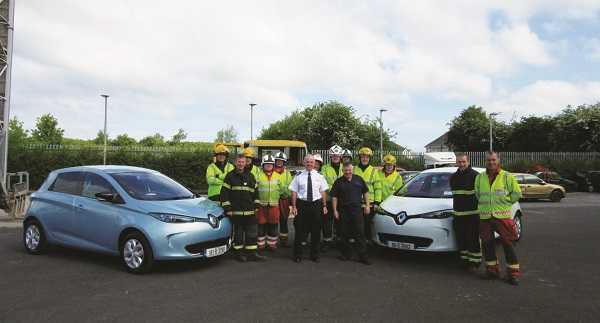 “There was no money for anything, and there was no gear – I had better tools in my car,” recalls retired District Officer Noel Hayden, who spent more than three decades fighting fires in Dún Laoghaire. A Crumlin man born and bred, Noel initially envisaged a life spent working in the trades. Beginning as an apprentice carpenter and joiner in Kennedy’s Bakery, he picked up plumbing, electrical and various other skills in the years that followed, including a stint as a carpenter with the now defunct Modern Display Artists. 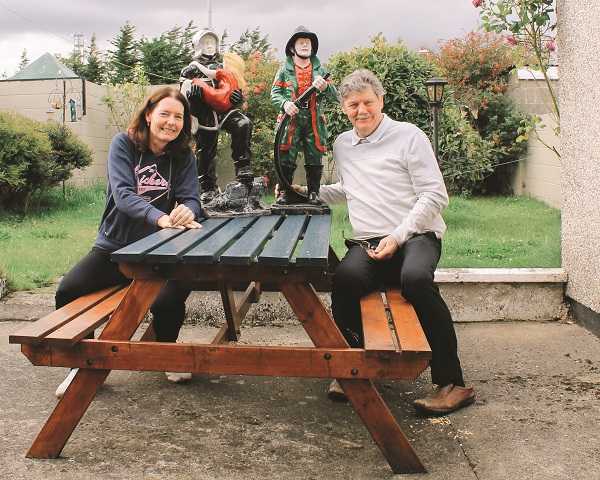 In fact, the house he and his wife Deirdre (along with their five children) have lived in since around 1983 was built by Noel, his brother-in-law Dennis and colleagues in the brigade at the time. Though Dennis was a firefighter, the thought of joining the fire brigade had never crossed Noel’s mind. He was working on a job in Kilbarrack Shopping Centre in 1972 when Dennis suggested he join the brigade, and Noel agreed to look into it. 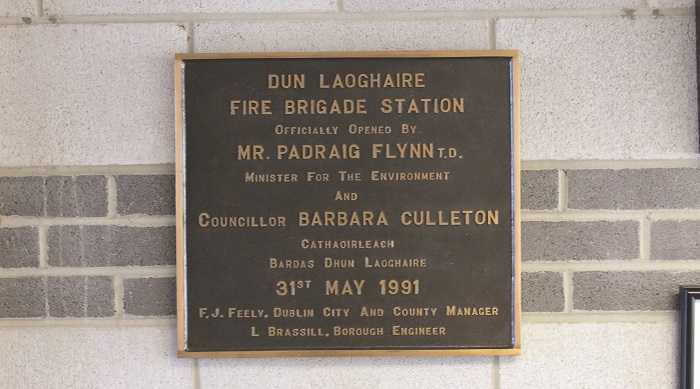 A week or two later an advertisement for Dún Laoghaire firefighters appeared in the paper, and Noel’s wife Deirdre duly went to the town hall to collect an application. As they had none printed she was directed to the fire station, where they had none either, though the second officer, Willie Kennedy, accompanied her back to the town hall to duplicate the form. By the time Dublin Fire Brigade launched its own recruitment drive several weeks later, Noel was a firefighter in Dún Laoghaire. “It was handy enough until I got the pay!” he recalls of those early weeks with a laugh. Prior to joining the brigade, Noel was earning £35 a week with a builder in the city; the fire brigade’s starting salary was substantially less at £20 a week. Couple that with the fact that he had bought a house on the northside and was commuting down, and circumstances were a little strained. Noel quickly became involved with the social side of life in the brigade, joining the Sports and Social Club and spending 20 years on the committee. During that time they formed a boat club and, with Paddy Lee, a benevolent fund. In 1974 Dún Laoghaire hosted one of the biggest annual dinner dances in its history, with around 340 people attending from brigades around the country. 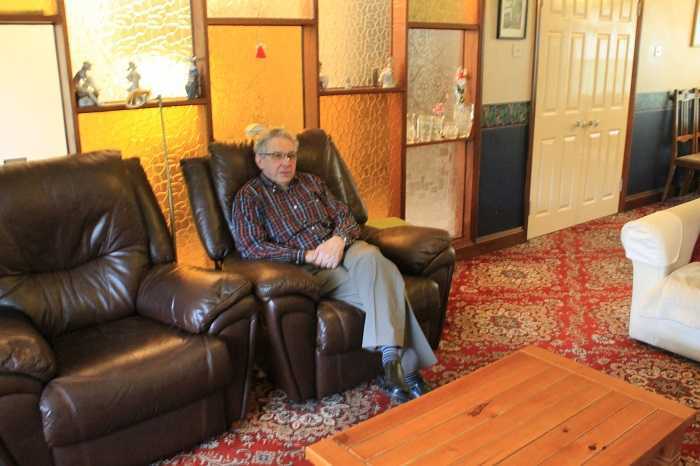 “We improved a lot of things – we reorganised the television room in the station and I made seating for it. We got another recreation room that also had bar seating – one of the boys knew somebody who was closing a bar down,” says Noel. The funding situation improved under the brigade’s new chief, Tom McDonald, a veteran of DFB. A greater emphasis was placed on training and equipment; the station’s firefighters began with a breathing apparatus course and new appliances were purchased. Sub Officer Christopher Cummins was dispatched around the country, visiting each fire station to see what they had, and made a list of requirements. The result was an impressive emergency tender featuring some of the latest innovations, including radios for communicating with marine rescue, housed in a small onboard control room. “We did our BA course in the OBI [where his grandfather attended school almost 90 years previous], and other courses too. We did our own pump training in Dún Laoghaire – myself and Aidan Carroll ran that,” Noel explains. Exercises, too, became a regular occurrence, and the crew at Dún Laoghaire took part in one of the earliest Sealink joint rescue exercises in the Irish Sea, conducted alongside Holyhead Fire Brigade, the RAF and the Irish Air Corps. “We continued to progress,” Noel adds. “It was a smaller brigade so it was easier to do, you could train everyone in a couple of weeks. Despite this increased focus on training and equipment, Dún Laoghaire’s ambulance service ran into difficulties in the late seventies/early eighties. 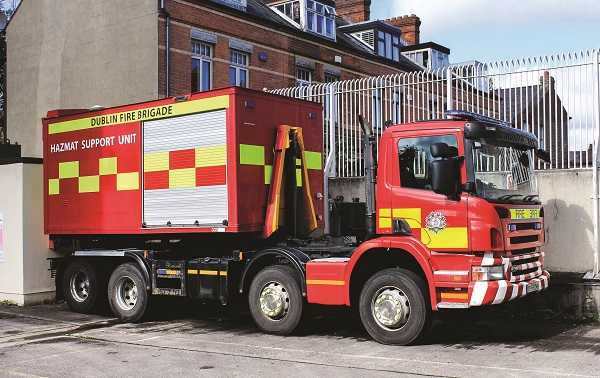 Rewind just a couple of years and there were three Dún Laoghaire fire brigade ambulances operating in the district – two regular ambulances and a fever ambulance. However, staffing issues began to arise and Noel explains how – rather than manning the ambulance for a full shift as happens today – personnel would switch between the fire tender and ambulance throughout the course of a shift. “You could come back in, get off the fire tender, wash yourself very quick and get into your dress uniform, get onto the ambulance and be out on a call five minutes later,” he says. The ambulance service finally departed in 1982, falling under the remit of Colmcille’s Hospital in nearby Loughlinstown. 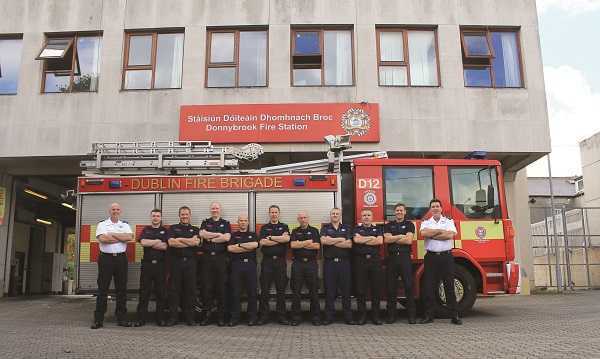 Though Dún Laoghaire moved to their present station in 1992, and amalgamated with Dublin Fire Brigade in 1994, the station remains the only one in Dublin without an ambulance today. Still, the crew was by no means underworked. The chimney van was one of the busiest appliances in a time when people were still burning the old coal. “When I was there first you would do 15 chimney fires a night. The best thing Mary Harney ever did for the country was get Dublin smoke free [in 1990]. It cut down on the chimney fires, as did the natural gas and gas-fired heating,” Noel explains. Noel’s time in Dún Laoghaire lasted 30 years, but eventually he moved on. 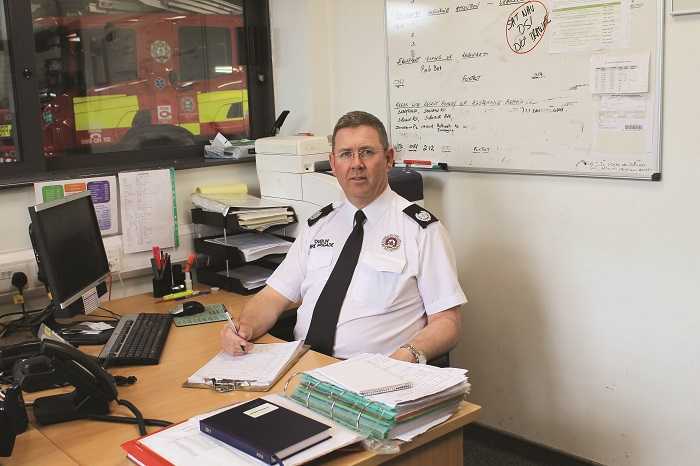 Having been promoted to sub officer in 1984 (acting sub officer since 1979), and station officer in 1994, he joined Donnybrook fire station in 2003. Three years later he was posted to Phibsborough as the district officer and saw out his remaining years on the northside, eventually retiring in 2009. Throughout that time he has met some great characters (some of whom dubbed him ‘Luigi’ on seeing his jet black hair). They’re the type of people you remember years after you’ve left the job, the type of people who take you under their wing, who make you laugh and learn, and most of all who make the job what it is. “I’ve worked with some great characters, some very skillful and smart people. I had a station officer, Tim Mahony, he was one of the first station officers I worked for. Myself, Aidan Carroll and a few others, we used to be called Tim’s lads. We had some great times working with Tim. He used to say ‘There’s some equal lads and others more equal!” Noel recalls. There are memorable incidents too – good and bad. Noel remembers a call to attend to a 12-year-old girl who wasn’t breathing. Though they quickly reached the scene she was beyond help, and all they could do was bring her to hospital. “I think that’s the one that sticks in my mind the most,” he explains. But lives have also been saved. One day Noel was teaching another firefighter how to drive the appliance when they were flagged down – a fire was burning outside a nearby shed with two children trapped inside. Leaving his colleague to operate the pumps and raise the alarm in the station across the road, Noel managed to locate and rescue a young boy and his friend. Three years later, the crew were walking out of the station’s kitchen, and could smell something burning. A house was on fire around the corner and they quickly turned out, Noel circling around the back while several others came through the front door. Spotting a crack in a pane of glass from which smoke was emanating, Noel quickly removed the glass and climbed inside, passing two kids out to safety. With colleagues in BA sets approaching and the smoke getting to him, Noel retreated to the back yard having warned that somebody else was trapped in the house. Then he heard a noise, and he was handed a baby. “It was the same family as the young lad in the shed – that was the four of them I rescued from fires!” he explains. “I must say, in the 37, 38 years there I enjoyed most of it. I might have had about three bad days, and two of them I can’t remember.” Noel has retired from DFB, but life after is by no means quiet. “The things I miss most are the days off!” he laughs. Still quite handy with a toolbox, Noel is the go-to man in the family and his neighbourhood when something goes wrong. He’s also started a family tradition – his son Rod has been in the brigade since 2004, stationed in Dolphin’s Barn, and thoroughly enjoys the hectic life of a firefighter. “He likes being busy,” says Noel. “He’s happy in his work. We caught up with the crew of C watch No 5, learning more about the scope of their work on the northside, and what makes the job so special. Finglas fire station was somewhat quiet when I arrived on a sunny morning last April. The ambulance was out on a call, the fourth or fifth in just two hours, while the appliance was taking a break in-between responses. C watch was on duty that morning, helmed by Station Officer Derek McGuinness who is on his second stint in Finglas. 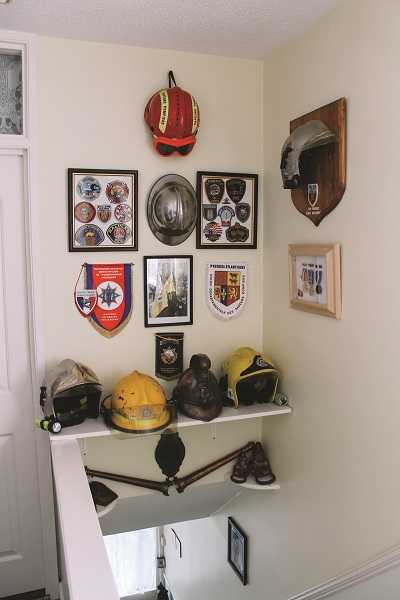 Starting out as a retained firefighter in Swords, he moved to a full-time role in 1990 and spent a year in Phibsborough followed by three years in HQ. From there he moved to North Strand until his promotion to sub officer on D watch HQ. 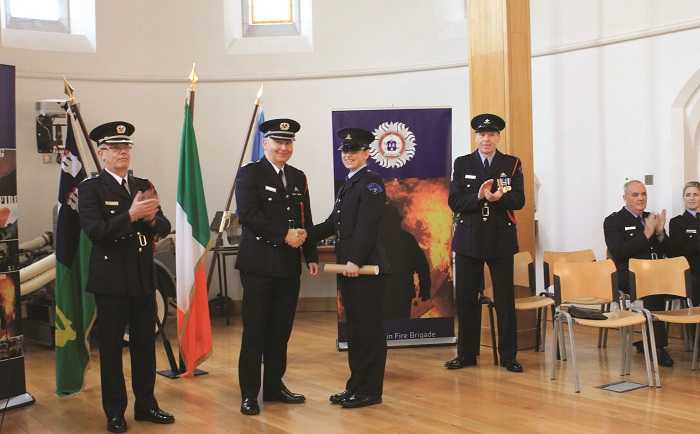 Following a further promotion to station officer, he spent three years in Finglas on C watch, before moving to Donnybrook and then to the Equipment Maintenance Department. However, No 5 beckoned once more, and he’s been overseeing C watch here once again for the past year. Given the breadth of Finglas’ area of responsibility, it’s no surprise that it’s a busy station. No 5 covers to the borders of Phibsborough’s area in Glasnevin, and from there right up to the border with Louth. They also respond when required to domestic incidents or RTCs alongside crews from Swords, and Skerries and Balbriggan retained fire stations. Bristol-Myers Squibb in Swords presents a potential hazmat challenge, which the large electrical station on the North Road, where large amounts of fuel are stored, adds to the list of potential large-scale incidents. Training obviously plays a key role, with regular training exercises arranged to keep the crew up-to-date in the event of an incident. “The main one, of course, is the Airport, that’s our main priority. We would liaise very closely with the officers in the Airport – if they have a manning shortage on a night shift they would inform us that they don’t have a domestic appliance available. In that situation we would increase our turnout response to three pumps instead of two for any alarm,” S/O McGuinness explains. The paramedic aspect of the job is something that has always interested S/O McGuinness. He was one of six pioneers of DFB’s advanced paramedic programme, travelling to the US in 1991 to complete a 12-month paramedic course. The six took part in an internship with New York Fire Department and undertook a number of clinical placements, in partnership with Northeastern University in Boston, Massachusetts. What they learned over the course of those 12 months was hugely significant for the development of DFB’s paramedic capabilities, having been exposed to a wide variety of situations they would never have encountered back home. On his return, S/O McGuinness was seconded to the OBI Training Institute for several months at a time to train other paramedics, a far cry from the basic first aid course he completed as a recruit in St. Mary’s Hospital in the Phoenix Park. Today, DFB’s dual role firefighter/ paramedic system is serving the city well – with stations strategically located north and south of the Liffey calls are responded to with little or no delay. As with most stations around Dublin, medical cases far outweigh calls to attend fires, and the crew on C watch have had a number of saves in the area over the past few months, including several successful resuscitations following cardiac arrest. S/O McGuinness notes the positives of being able to dispatch a fire tender to the scene of a medical incident with trained paramedics on board. “It’s an excellent resource to have pulling up at your door, with five or six paramedics jumping out,” he says. “Some of the APs are riding out on the tenders as well.” One of those paramedics is Mick Ennis, who joined the brigade in 2001 and has been stationed in Finglas since April 2002. “It’s a great job, a great career, it’s a great thing to be a part of,” he says. As you might imagine he’s seen quite a few changes in the intervening years – officers and recruits coming and going, changes in the way they tackle incidents and how they can treat the patients they encounter. For example, in his early days Mick would often respond to a local man with diabetes who would go into a diabetic seizure from time to time due to low blood sugar. Initially, his sister would keep Lucozade tablets or jam on hand for the paramedics to ‘administer’, but as time passed and DFB’s medical resources expanded, the ambulance’s supplies included glucose, glucagon injections and much more besides. “The level of professionalism is so vast now. For people with breathing problems… when I started there was oxygen and that was it. Now we can give salbutamol, ipratropium bromide. And you can physically see the people in front of you change, from where they couldn’t breathe and they’re frightened to where they’re back talking to you and thanking you. There’s a huge change in the level that we operate at.” Mick also pinpoints geographical changes within Finglas’ area of responsibility, including the changed landscape of Ballymun and the advent of the Port Tunnel. “When I started there was no tunnel,” he explains. “That doesn’t affect us hugely because it’s very safe and well organised so we wouldn’t be down there every hand’s turn.” I ask Mick about any cases that stand out in his mind, and he smiles. “I remember one case that stands out,” he says. That particular case took place in the vicinity of the station; a call came in advising that a stabbing had taken place. Though another ambulance had been dispatched, Mick and his partner John O’Riordan reached the patient first. The individual was lying on the ground, miraculously still alive, a knife protruding from their chest. Though the crew initially secured the patient in the ambulance, the patient managed to remove the knife and became quite aggressive. In the end, garda reinforcements were called, the patient was restrained on the ambulance stretcher, and was taken to hospital. The impact and experience of senior personnel like this is invaluable, particularly for those who are new to the job, like recruit Dave Brennan, currently completing his paramedic training. Three years ago F/F Gary Wilson was in that position, having joined the brigade internally from Dublin City Council, starting out in Finglas in 2009. One thing I’ve noticed from each of the stations I’ve visited is that the crew are often involved in charitable endeavours, raising funds or awareness for a wide variety of worthy causes. Finglas is no different – S/O McGuinness has travelled to Zinder, a city in Niger, to provide his experience and expertise to the city’s fledgling fire department. Working with Fire and Ambulance Development in Africa (FADA), he was one of six people who travelled to the West African country two years ago, bringing with them several fire tenders and old cutting equipment that had been donated by brigades around the country. The team spent two weeks in Niger; a five-day drive through the Sahara desert, followed by a training programme to teach Zinder’s firefighters how to operate their newfound equipment. 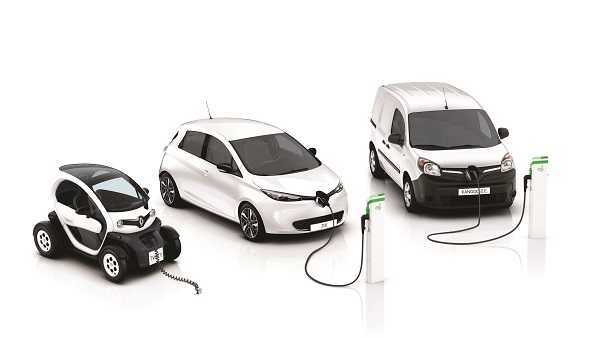 It’s an expensive process – the biggest expense is shipping, costing roughly d5,000 per appliance to ship from Ireland to Africa. Although outfitting the city’s fire service with modern technology is the main goal, there have been some unexpected but positive side effects. Some of the fire tenders are also being used to ferry water from wells to villages, which allows young girls to receive an education – usually they’re kept at home to carry water throughout the day, but now their time is freed up to continue their studies. The last time I was in No 5, their renovation programme was almost complete, with a few bits to be finished here and then. Two-and-a-half years later they’re well settled into their new digs, and are very much enjoying the fruits of that labour, including 24/7 hot water and a generator that kicks in when the main power grid fails.